If you're looking for an easy and free way to schedule your editing and proofreading projects – clients, income, payment-due dates – this free Excel template is for you. Keeping track of editing and proofreading projects is essential for every professional editor. Download this free Excel template to get you started. The figures are completely made up but show the basic structure. ​If you're a newbie, you can use this as an interim way of managing your accounts and your schedule; one less thing to worry about for now! This template includes a number of columns with formulae that I find useful. The Status column is particularly helpful because it automatically lets me know when an invoice payment is overdue. The formula here is derived from the Paid, and Payment Due columns. The Payment Due column formula is derived from the Invoice Sent and Payment Terms columns. As soon as I receive notification that an invoice has been paid, I insert "p" in the Paid column; if payment has not been received by the due date, the cell in the Status column turns to bright orange and I know it's time to chase my client. It helps me to see, at a glance, what's going on in my schedule, especially when a client asks about availability. I also track how the job will be returned to a client: via email, the post office or courier (at the client's expense). The UK's HMRC allows the freelancer to offset a percentage of mileage costs against their tax liabilities. There's a summary box at the bottom of the spreadsheet. This shows me my average earnings, my average hourly rate and my average rate per 1,000 words. These figures are really only for curiosity, since each job varies quite considerably in size, type, budget, difficulty and speed. If I was doing any serious analysis I'd look more deeply into the data to assess whether there are patterns in terms of, say, client type, service offered and subject matter. Still, it's useful for grabbing quick-and-dirty data for annual comparisons. Feel free to copy, amend or ignore as you see fit. You can add your own formulae to particular columns if the way in which you charge for your work differs. A note from Louise: Do you issue a contract before you start an editorial project? If not, take a gander at the advice from my editorial colleague Cassie Armstrong. Most of you wouldn't think of beginning an editing project, or making a major purchase, without a contract in place. I was like that, too. I never began a new project without either a signed contract on file or an email where both parties made it clear what they would and would not do. But I didn't do that with a recent project. That mistake cost me time and money. Take a minute and learn from my mistake. I answered a job post for a proofreader a few weeks ago. The project was interesting, so I sent an email to the person who posted it. We talked about what the work involved, why a proofreader was needed, and about my hourly fees. ​I was thrilled to be accepted because the project piqued my interest. I could relate. But in my haste to begin, I didn't take the time to discuss a contract with my client. I should have stopped right there and corrected this mistake. In the early talking stages, when you and your potential client are discussing the project, take the time to ask if there is a budget for the work. I usually always ask. If I like the project and want to be involved, I will often times accept it even if the potential client’s budget is lower than my hourly fee. That decision is up to you, but it’s one that you need to consider in the beginning talking stages for any project. Money isn’t the only reason to be involved. In the recent project I suggested an hourly fee but didn't ask about a budget. For the next piece of work, I plan to avoid this mistake and ask the question. It would be in your best interest to ask the question, too. ​Remember to ask it during the project’s conversational phase, before you accept job. I didn’t suggest or push for a contract because my client wanted the project completed in a week. I thought requesting a contract would slow down the process. This was my third mistake. Always take the time to draw up a contract. If you don’t want to be that formal, you can write the potential client a letter that explains what you will do and how you will do it. ​The letter and contract don’t have to be complicated and KOK Edit has some good examples that you can review and modify to suit your needs in her Copyeditors’ Knowledge Base (Contract between editor and book publisher; Contract between editor and client). If you don’t want to draw up a formal contract and take the time needed for both parties to sign it and return it, an email where you specify what you will do, how long the project will take, and the overall or hourly fee will also suffice as long as you have a statement of agreement from your client in a return email. ​This acceptance email will serve as the contract for the job. Just as a contract is important in any project, so is a deposit. Depending on the length of the project, you may want up to 50 per cent in advance and payment on billable hours every two weeks. ​The amount of deposit as well as the project’s billing cycle is as individual as the project and editor. These items should also be spelled out in the contract. For some small projects, I have edited without a deposit. For me, it’s a gut reaction. Just as each contract is different, so is requiring a deposit. For short projects with rapid turnarounds, deposits may not work. Do what works for you and is best for your circumstances at the time. In all cases, make sure you have complete contact information and consider using PayPal. No matter what kind of contract you write, either traditional, a letter or email, make sure the contract contains a kill fee. The kill fee will save you a lot of grief and will provide an out for both you and your client if things don’t progress the way you'd planned. Just as a deposit helps protect you from doing a lot of work and then not getting paid for it, a kill fee, cancellation fee, or rejection fee serves a similar purpose. The kill fee ensures that you’re paid for all the work you’ve done up to the time the client notifies you that they are not going to work with you any longer, or when you decide to walk away from the project for one reason or another. Both you and the client may decide to cancel the project for any number of reasons, including timing, money, or change of focus. You both may decide to cancel the job because you aren't happy with the initial work, may think that you aren't working well together, or may not want to continue for some other reason. ​Whatever the grounds, the kill fee helps cover your billable time and any tangible expenses (delivery fees, for example) incurred so far in the project. ​Through conversations and drafts, make sure that the project requirements are crystal clear for all parties involved. Spell out what you will do, how many passes you will make, and how the project will be returned. If any kind of formatting is involved, be sure you and your client agree on who will be responsible for the formatting. Make sure that you also discuss and establish how you will receive the project, if the certain sections of the project will be returned early, how many pages. Clarify also how the entire project will be delivered. Going over these requirements at the beginning will save both you and your client frustration later on down the line. Don’t change the project’s format or delete extra spaces unless that has been discussed before beginning the project. Return the project in the same manner you received it, the same way you return a car you borrow with a full tank of gas. Failing to address these kinds of issues could upset your client and may cost you money and time in the long run. If you make a mistake in a project because of a lack of communication or because the client is not happy with one aspect of your work, offer to fix the problem. Taking a few hours to make a client happy will be your best reward in the long run. ​It will make you feel good and there’s also the possibility of receiving future work from a satisfied customer. Communication in a project is key. You can communicate via email or via the telephone. Establish the best way to keep in touch before the project begins and discuss how many times a week you will be in contact. If the client prefers telephone conversations, exchange numbers. ​Ask when the best time to talk is and keep in mind any different time zones between you both. Keep all conversations brief and on point. Be courteous but businesslike. If you find yourself in the position where you’re doing more than the contract specified, take a minute and regroup. Go over the contract specifics. Make sure to review the specifics and discuss the new project requirements with your client. Explain that the new requirements will take more time and will cost more than the original fee. Offer to fulfil the new requirements for an additional fee and specify how this will be paid. Keep all conversations light but remain in control. Don’t allow yourself to be pushed into doing something that you’re not comfortable with or making changes that weren’t discussed previously. If you have to make changes or correct an error, don’t allow the client to deduct the cost of these changes from the original project fee. Explain your position to your client and stand your ground. Standing your ground is something that many of us aren't comfortable with. However, in business, and real life, it’s necessary if you don’t want to be bullied. If a situation like this occurs early on in the project, the kill fee you included in the contract, letter, or email will come in handy. Use it and walk away. ​Never put yourself in a situation where you are not in control or where you have second thoughts about a client or project. It isn't worth it. Bottom line: a well-designed contract should avoid any potential problems in a project. Before I begin another project, either with an individual or with a publisher, I plan to make sure that the job specifics are spelled out and crystal clear. I will also add a kill fee to the contract and if there’s an inkling that the project is not going well, I will walk away. Cassie Armstrong is a professional editor and the founder of MorningStar Editing. She's a recovering college English teacher and member of the Editorial Freelancers Association with over six years' editing experience. 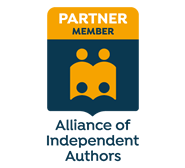 Her clients are primarily individual authors and trade publishers who specialize in fiction and non-fiction subjects, from biographies to YA novels. Cassie enjoys working with yarn and thread in her spare time and is developing a complementary speciality in editing books about crafting. Contact Cassie via her website MorningStar Editing, Twitter @MorningStarEdit, and LinkedIn.